The debut of Agents of S.H.I.E.L.D. 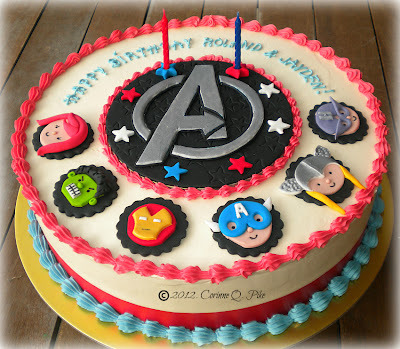 left me in a Marvel frame of mind, so this Friday I let my sweet tooth roam the special land of Avengers theme cakes. 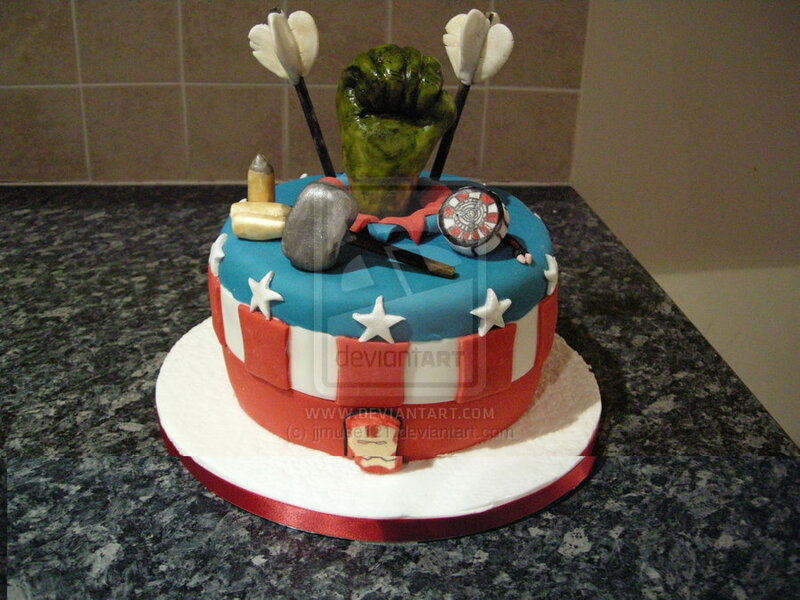 The one important lesson I learned searching for Avengers cakes is that the only person bakers hate more than Hawkeye is the Black Widow. 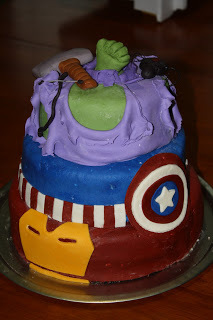 In fact, even on a clearly movie branded cake, they’d much rather use Avengers comic characters than admit there’s a woman on the movie’s superhero team. 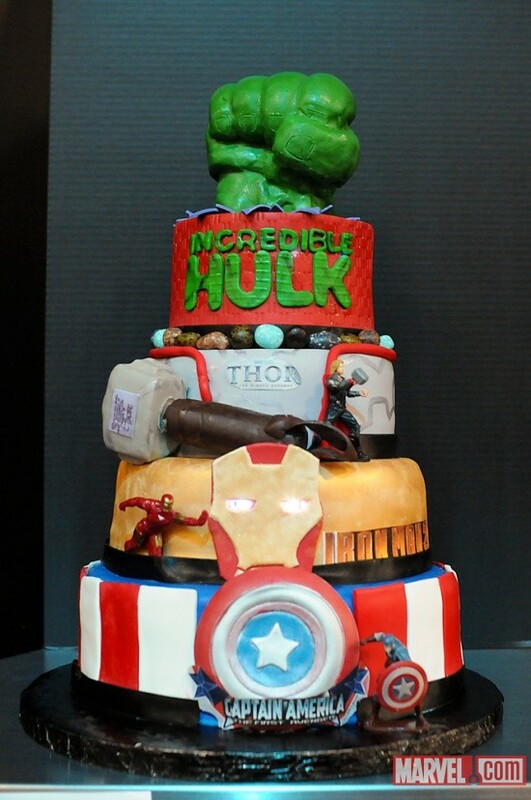 I can’t really blame them when even the official Avengers movie cake pans ditched Hawkeye and Black widow in favor of Wolverine and Spiderman. Remember this, birthday boys, when 10 years from now you’re asking why you can’t find a girl into comics. 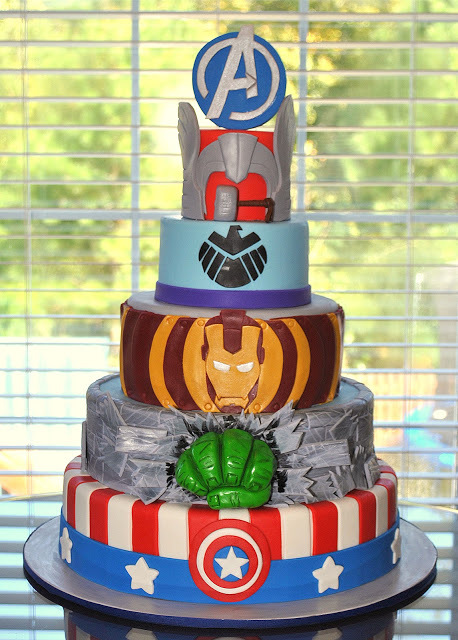 Behold the glory of Captain America, Iron Man, Thor, and the Incredible Hulk all brought together in one Avengers-tastic cake. Presumably, Hawkeye and the Black Widow are busy elsewhere, drinking heavily and cursing in Russian over the fact that they’ve never had their own movies. 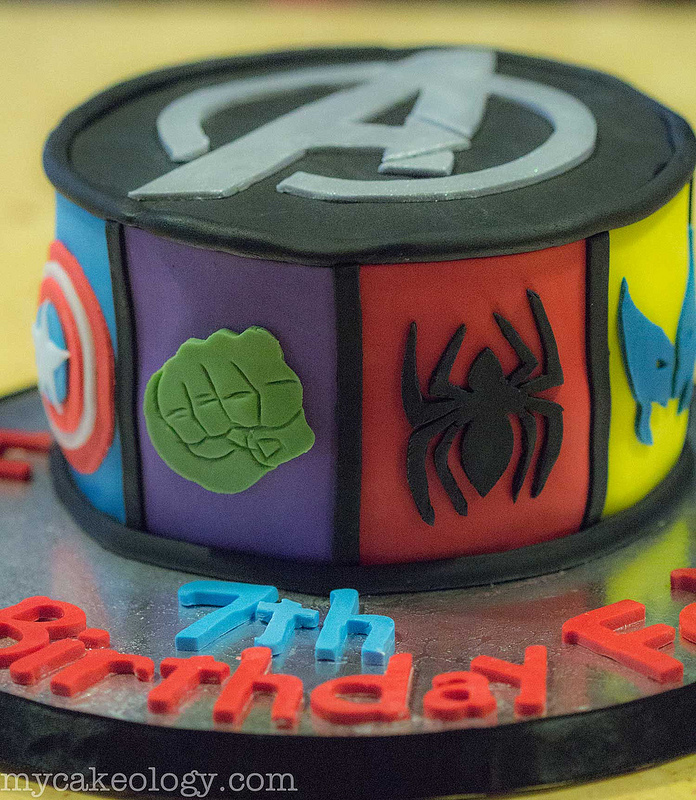 This time around, Hope’s Sweet Cakes honored the world’s luckiest six year old with a cake evoking Captain America, the Hulk, Iron Man, Thor, and S.H.I.E.L.D. Hawkeye and the Black Widow ditched this party in favor of spending the night in seclusion, polishing one another’s weapons. 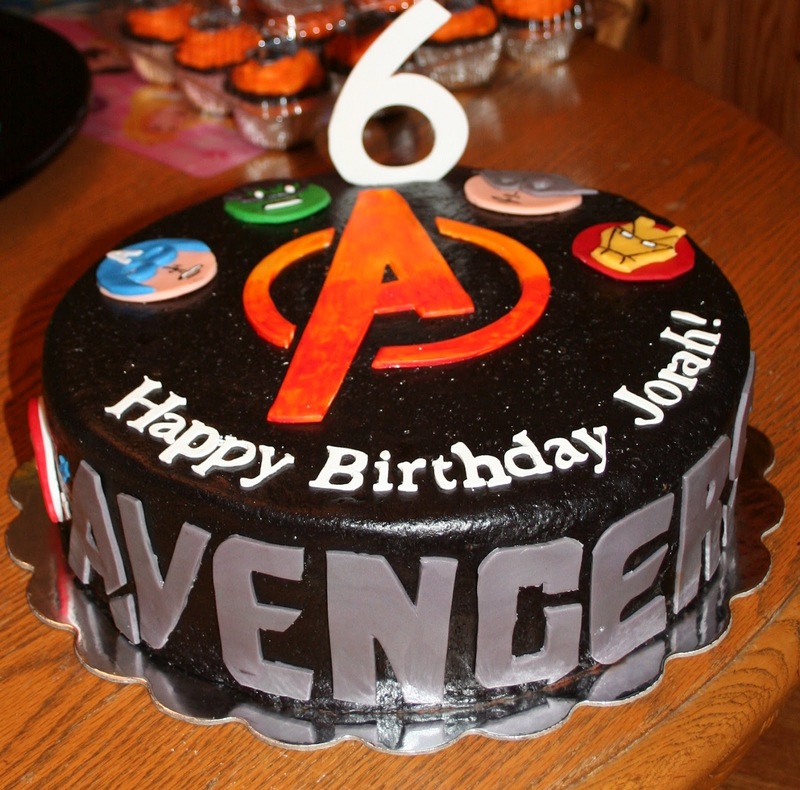 The folks at Pink Frosting Bakery were willing to admit Hawkeye is actually on the team, but no girls allowed for Jorah’s 6th birthday. Just to be safe, no men with long, flowing blonde hair, either. We wouldn’t want to confuse anyone. Caroline Eva Black, over on deviantArt, is fully aware that both Spiderman and Wolverine have been Avengers. 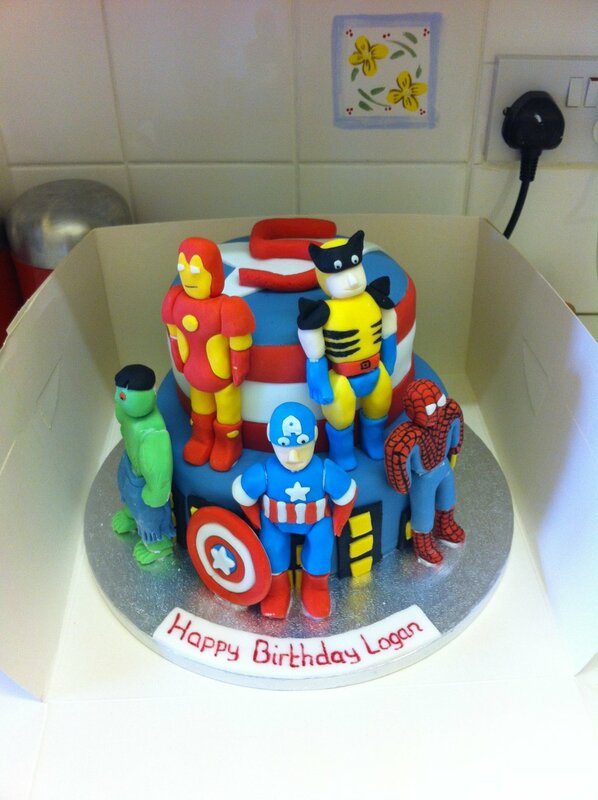 Plus, if your friend is named Logan, his cake has to include Wolverine. It’s the law. Speaking of birthdays, Jonah clearly has the world’s best parents. 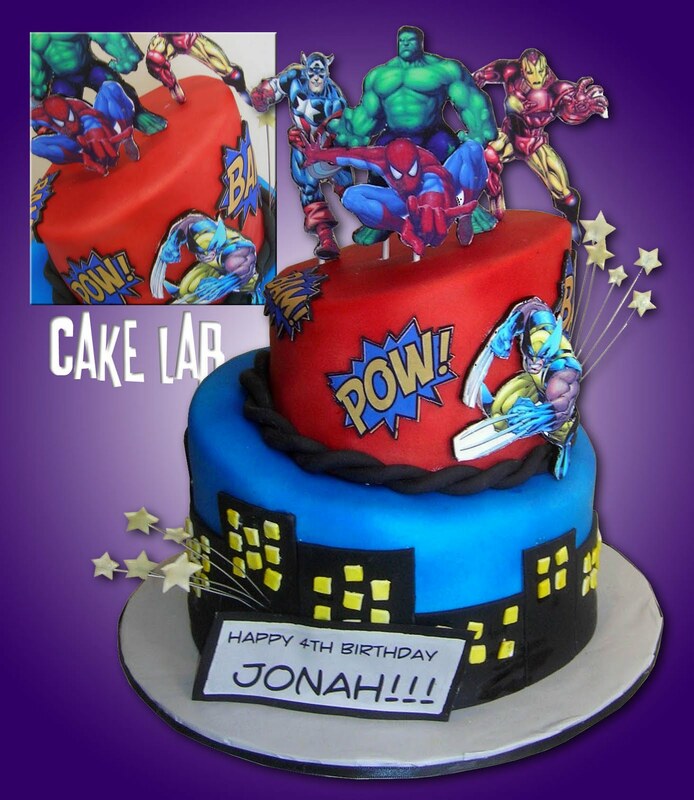 Check out his 4th birthday Avengers-tastic cake made by the comic loving bakers at Zaco Cakes. The folks at My Cakeology could almost fool you into believing that’s a Black Widow logo instead of Spiderman, but then Wolverine crashes the party. He has to be on every team, even team 7th birthday. 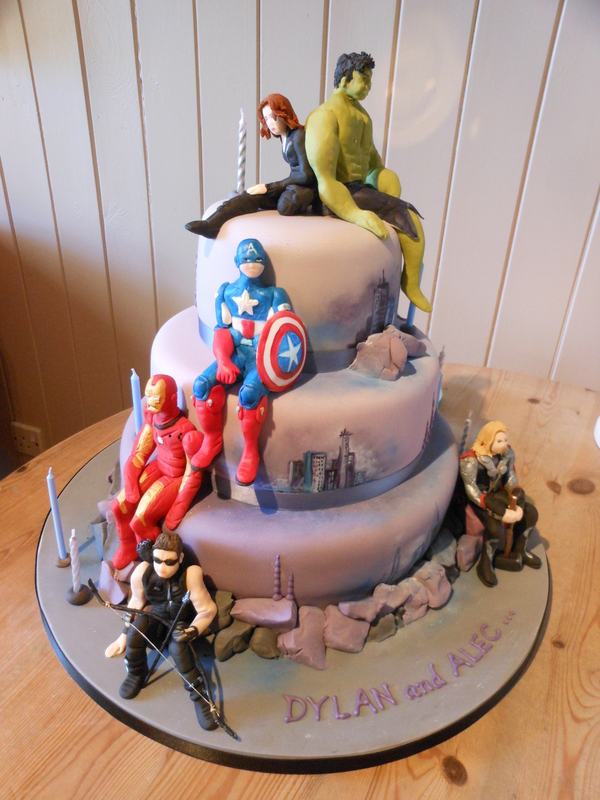 Black Widow and Hawkeye were finally included in the team on this cake from Heart of Mary, though they clearly needed to be separated lest they cause some kind of trouble. I really like the way jjmuse121 of deviantArt works in the iconography of the entire Avengers Movie team. Sure, everyone recognizes Captain America’s colors, Iron Man’s Laughing-Cow-Peeled-Cheese face, Thor’s hammer and the Hulk’s fist. Adding in the arrows for Hawkeye and the bullets for the Black Widow are a really nice touch. I’m willing to ignore the cheddar cheese Iron Man face because Cake Chic Creations not only gave us a black widow spider and a bow as a nod to the least favorite members of the team, but also transformed icing into the single most iconic costume in Marvel history – ripped purple pants. I love her so darn much for this. If only the holes were that large when Bruce Banner shrunk down to mere mortal size. The whole team finally gets represented in this torchlit wedding cake for Dylan and Alec by The Wedding Cake bakery. This was literally the only full sized caketastic depiction of the Black Widow I was able to find, so good on you, Dylan and Alec, for not being afraid of heroic ladies. 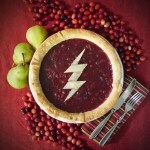 If someone gave me any of these cakes… i wouldnt eat them.. TOO AWESOME!